Ride and Read! NEWS by Madness Photography - Onno "Berserk" Wieringa: Motor Bike Expo Verona 2016 – THE BEST! Motor Bike Expo Verona 2016 – THE BEST AGAIN! The Best Custom Bike in Europe, and, according to the many American celebreties and Bike Builders, even better than most Custom Bike Shows in the USA! 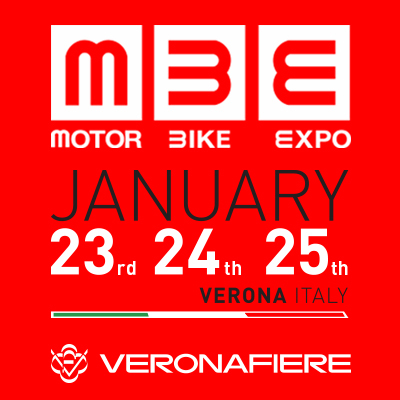 And yes, we said it last year, and we’re going to say exactly the same thing about the Verona Motor Bike Expo again and we all agreed: The Show was even better than last year! With over 600 vendors and exhibitors, over 200 Custom Bikes and well over 150.000 visitors, the Motor Bike Expo 2016 in Verona, Italy was the very best! Three main halls full with everything custom bike, one main hall full with everything Café Racers and 8 more halls full of bikes, custom bikes, and everything you could wish for, including great Music, beautiful girls, good Italian food and drinks and too much fun to handle. From the USA to Russia, from Japan to the Netherlands, almost all the main builders and vendors from all over the World came to the Motor Bike Expo. Taylor, Jeff Decker, the Ness Family, and of course all the European Bike Builders attended the Motor Bike Expo. Motor Bike Expo, Verona – Italy 2016 on www.madnessphotography.nl click Photo Galleries 2016.